By choosing a career as a teacher, you can positively affect the lives of so many students. Teaching is a job that will prove to be highly rewarding to you and the children you will teach. The following steps will help you be on your way toward becoming a teacher in Mississippi. First you should decide what you would like to teach. There are several levels and subjects to choose from. For example, would you like to teach fundamental skills to elementary school children? Do you have a specialty area, such as Language Arts or Math? Deciding this will help you stay on the right path toward becoming a teacher as some steps are dependent on that decision. The Mississippi Department of Education has information about students and teachers, which could help you make your decision. If you want to become a professional educator in Mississippi, you must have a minimum of a Bachelor's Degree and complete a teacher education program. Completion of these two minimum requirements will lead you toward a Mississippi state teaching license. If you do not have a Bachelor's Degree yet, make sure to ask a college advisor if your school offers a joint or blended program. If so, that is great news. 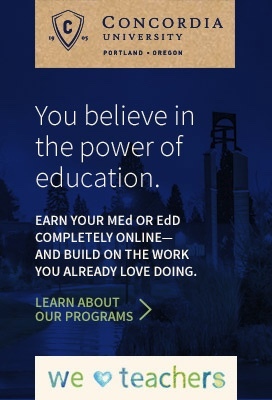 A blended program will allow you to combine all of the work needed for a Bachelor's Degree and teacher preparation program. Blended programs are ideal for candidates who know from early on that they want to teach. As mentioned above, in order to teach in Mississippi, you must complete a teacher education program. Teacher education programs in Mississippi generally consist of two elements: curricula and fieldwork. Curricula refers to the college level classes you will need to take as part of the program. These classes usually include a focus on pedagogy (the actual practice of teaching), subject-based teaching methods, differentiated instructional strategies, technology integration, and more. Fieldwork often includes classroom observations, internships, student teaching, or a combination of all three depending on your college or university. Student teaching requires candidates to work closely with an experienced mentor teacher in order to plan and implement lessons. In addition, student teachers are often required to write reflections and lesson plans. Often times, candidates are even required to put together a culminating portfolio. In order to assure a quality education for yourself, the teacher preparation program should be accredited by the Council for the Accreditation of Teacher Preparation, also known as CAEP. Former accrediting agencies were National Council for Accreditation of Teacher Education (NCATE) and Teacher Education Accreditation Council (TEAC). If you have a Bachelor's degree already, you can take part in a post-baccalaureate or alternative teacher preparation program. Your college or university might even offer a joint Master's Degree program as well. There are other routes you can take to becoming a teacher in Mississippi. There are four approved Alternate Route Programs that lead to teacher certification. The Mississippi Alternate Path to Quality Teachers (MAPQT) is for candidates with a Bachelor's Degree from a field outside of education. Candidates must also have a minimum of 2.5 overall or 2.75 major GPA, pass the Praxis I (PPST) or Core Academic Skills for Educators test, as well as the Praxis II in the candidate's specialty area. The Master of Arts in Teaching (MAT) route requires applicants to hold a Bachelor's Degree (non-education) from an accredited college or university. In addition, applicants must pass the Praxis CORE (Core Academic Skills for Educators) test as well as the Praxis II (Specialty Area Test). Teach Mississippi Institute (TMI) is an alternative to the traditional teacher preparation route for candidates who seek to become licensed to teach in Mississippi. This route can lead to a Mississippi teacher's license in a variety of subject areas. American Board for Certification of Teacher Excellence (ABCTE) is approved by the Mississippi Department of Education as a route to full teacher licensure. For this route, candidates need to hold a Bachelor's Degree and a dedication to the field of education. Keep in mind that alternate route candidates are also required to pass one of the approved Praxis II subject area tests for the chosen alternate route program. See the Mississippi Educator Licensure, Alternate Route Programs website to find approved alternate route subject areas and more information on components of each program. The next step to becoming a teacher in Mississippi is passing the required exams. The Mississippi Department of Education requires all prospective teachers to pass and complete a Basic Skills exam, which could be fulfilled by taking the Praxis CORE Academic Skills for Educators Test. This is a test on reading, writing, and math skills. It is also required to take the subject area competence exam, which can be fulfilled by taking the Praxis II. This test will measure a candidate's knowledge in the area they wish to become licensed in. It is very important for the Praxis II to be taken in the area in which certification is desired. The Praxis II exam incorporates multiple choice questions and constructed response essay questions. Once your application processes, you will be ready to go off and find a great teaching job in the state of Mississippi! The state of Mississippi has a need for qualified, passionate teachers. The state is experiencing critical shortages of teachers both in subject areas like special education, math, sciences, and foreign languages, as well as in certain geographic regions around the state. The Mississippi Department of Education has established a teacher job board in order to connect Mississippi school districts with a pool of certified prospective teachers. Educators can submit information into the official database to be viewed by potential candidates at teach.k12.ms.us. Candidates are also welcome to access each district's website to obtain an application for employment. Once hired, teachers can become members of a state professional association, namely the Mississippi Association of Educators (MEA), the state chapter of the American Federation of Teachers (AFT), or the Mississippi Association of Educators (NEA). Membership in one or several of these associations helps give teachers an advocate for labour or legal issues that may arise, as well as providing them with professional development opportunities throughout their career. Upon retirement from the public school system, teachers are eligible for retirement benefits through the Public Employees' Retirement System of Mississippi (PERS of MS). Teachers who don't wish to become part of the state's public system are encouraged to apply to any of the state's 255 private schools, which serve over 50,000 students. Teacher's are advised that compensation and professional opportunities may vary from what the state can offer. However, often times it may be easier to climb the career ladder in a private school. The table below lists the number of public school teachers in Mississippi by grade level during the 2012-2013 school year. There are more than 200 private schools with an estimated 3,600 private school teachers in Mississippi. The table below details the number of teachers by grade level during the 2011-2012 school year. Upon receiving a teaching license, teachers begin their career-long accumulation of professional development undertakings in order to both expand and improve their professional practice in the classroom. In addition to helping teachers implement learning strategies that boost student success, professional development aids teachers in being able to achieve professional standards of excellence, salary goals, and career goals. It is important for stakeholders at every level - state, district, school, and classroom - to ensure that the professional development opportunities are of high quality and relevant to the teachers and students. High quality professional developments have clear goals and objectives in addition to a self-assessment component. A good PD will also have concrete methods to integrate strategies and concepts into classroom teaching. In the state of Mississippi, the Department of Education facilitates some professional development opportunities for teachers. 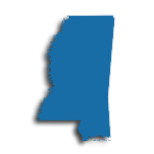 They also allow for other professional organizations, like Mississippi Professional Educators (MPE), to establish and partner with resources and offerings from around the state. In addition to the state's resources and other professional organizations, teachers are encouraged to source workshops and conferences from organizations such as: Center for Mathematics & Science Education (CMSE), GEAR UP Mississippi, and North Mississippi Education Consortium (NMEC). While you can teach under a Class A license, the Mississippi Department of Education recognizes three other classes that allow teachers here to enjoy a reduction in continuing education requirements for renewal. In addition, Mississippi teachers with master's degrees enjoy a bigger paycheck than those with bachelor's degrees. According to the Mississippi Department of Education, in FY 2018-2019, you'll earn a minimum salary of $34,390 with a Class A license, while you'll earn a minimum salary of $36,780 with a Class AA license - an increase of about $2,400 annually.